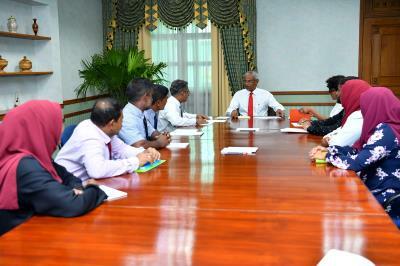 President Ibrahim Mohamed Solih has this afternoon met with members of the Huraa Island Council. The Councilors especially noted the challenges being faced due to shortage of space in Council Building and School building, in delivering their services to island’s community. They also highlighted electricity issues faced in the Island. Further they requested to speed up the current land reclamation project. Speaking in this regard, they highlighted difficulties faced in using the current harbor of the island and requested to speed up the phase 3 project of harbor. Speaking at the meeting, President Solih stated that the government would take necessary action after discussing with the line ministries and tackle these problems. 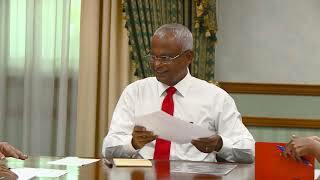 He further informed that all projects allocated in this year’s budget will commence soon.